You have the time to do this. No matter what. Remember that. Stop. Breathe. Focus on the breath. The air around you. You are here. Alive. You are good. You got this. Just Breathe. When anxiety hits, it is not easy. But you have this. You are good. You have survived to this moment and you will survive beyond it. Remember to practice your patience Jedi. You will get through this moment, but you have to take it one step at a time. You have to be patient with the situation. More importantly you have to be patient with yourself. Remember that this too shall pass. And you will get there. Just have to be patient. No matter what happens. No matter what you are feeling. You are still you. There is nothing wrong with you. You are experiencing the plethora of human emotions – maybe all at once. It is fine. And no matter what anyone says or thinks – you are still you. This isn’t the end of your story. Worrying about what could be is a waste. “Always in motion the future is.” As Yoda reminds us. You are here, now. Work with what you got. Embrace the challenges. Do you best within the moment and the future will take care of itself. “Keep your concentration here and now, where it belongs.” – As Qui-Gon would advise. One step at a time. One moment at a time. Be patient. In the end you have to trust in yourself. There is no hiding. No cloak of invisibility. Trust in yourself, trust in your training, trust in the Force. Move forward secure in that. It is a combination, never just one thing. Your feelings, your philosophy, your code, all coming together to help you through this moment. And that will always be there for you. 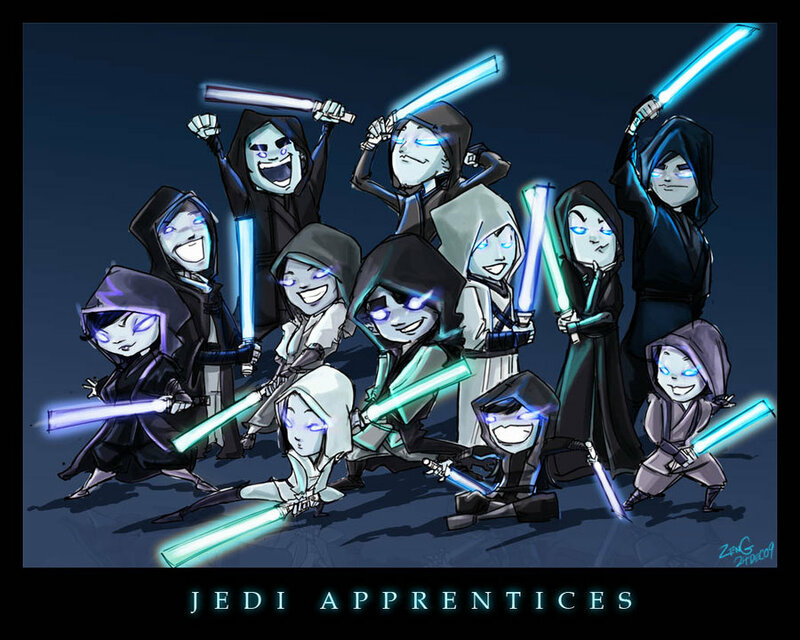 So deep breath – and go get ’em Jedi!